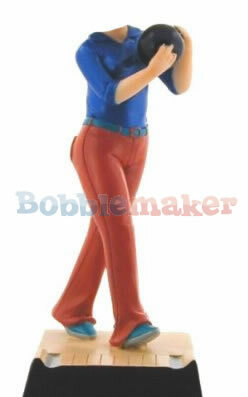 This custom bobblehead features a female bowler. She is posed as if she was about to throw a bowling ball down a lane while in mid stride. This custom bobblehead makes a perfect gift idea for the women in your life.